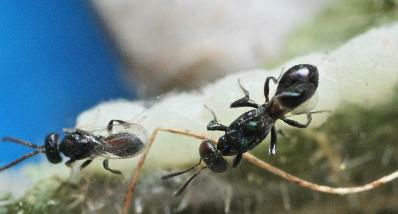 Anastatus are about 3 mm long, black, ant like, and systematically move over foliage in search of hosts. 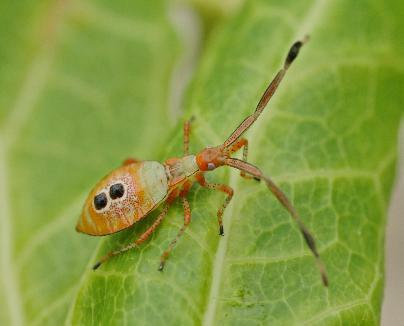 There are a number of species that parasitise fruitspotting bug eggs. Very little is know at this stage about the abundance and distribution of the various species. They lay one egg into each bug egg. 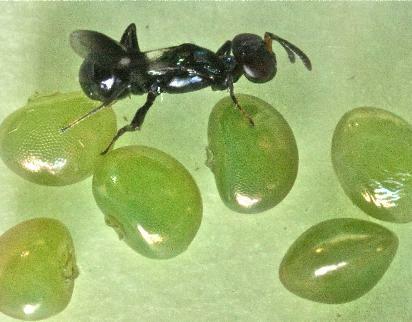 These eggs take about 23 days to develop into adults inside the bug eggs. FSB breed primarily around the crop and fly in when they become adults if the crop is at an attractive stage. Anastatus are therefore released into or near to areas where FSB are breeding - hot spots in the crop, along crop boundaries and alternative hosts nearby. They are released regularly, every 3 to 4 weeks through the warmer months. 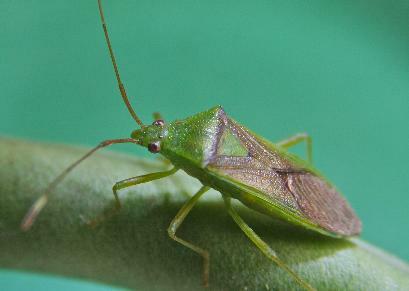 The aim is to reduce the migration of adult bugs into the crop. 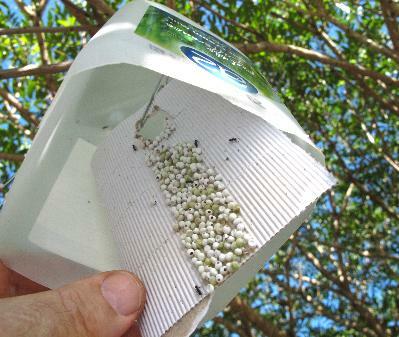 The Anastatus are despatched as pupae developing inside silkworm eggs that are glued onto cards which are hung up in trees.